Money May Be Motivating Doctors To Do More C-Sections : Shots - Health News Many obstetricians make more money for C-sections than for vaginal deliveries. In a recent study, these doctors were more likely to perform the costly procedure than doctors paid a flat salary. 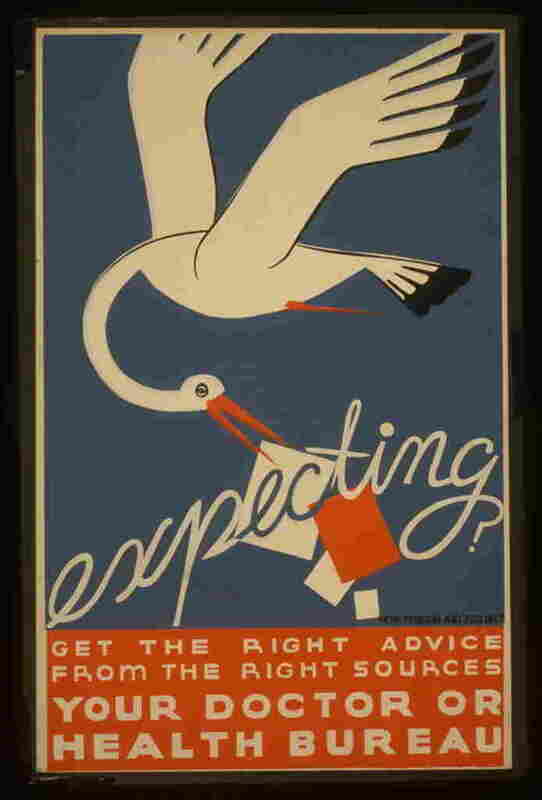 But when the pregnant women were also physicians, doctors seemed less swayed by financial incentives. Obstetricians perform more cesarean sections when there are financial incentives to do so, according to a new study that explores links between economic incentives and medical decision-making during childbirth. About 1 in 3 babies born today is delivered via C-section, compared to 1 in 5 babies delivered via the surgical procedure in 1996. During the same time period, the annual medical costs of childbirth in the U.S. have grown by $3 billion annually. 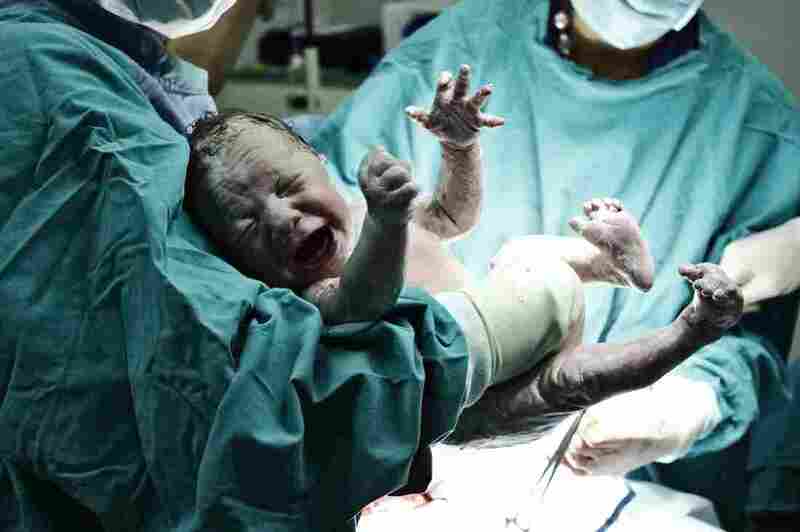 There are significant variations in the rate of cesarean deliveries in different parts of the country — in Louisiana, for example, the C-section rate is nearly twice as high as in Alaska. Obstetricians in many medical settings are paid more for C-sections. In a new working paper published by the National Bureau of Economic Research, health care economists Erin Johnson and M. Marit Rehavi calculated that doctors might make a few hundred dollars more for a C-section compared to a vaginal delivery, and a hospital might make a few thousand dollars more. Johnson and Rehavi decided to explore the reasons for the increased number of surgical childbirth procedures via an unusual tack: They hypothesized that obstetricians would be less likely to be swayed by financial incentives when patients themselves had significant medical expertise and knowledge. By contrast, the researchers figured, such incentives might play a larger role in medical decision-making when patients knew very little. In some ways, this is analogous to what happens when people take their cars to mechanics. People who are knowledgeable about cars are likely to push back against unnecessary repairs, whereas those who don't know much about cars are less likely to take issue with the mechanic's advice. In childbirth, Johnson and Rehavi figured, this meant that obstetricians would perform fewer C-sections when their patients were themselves doctors. "The idea is that physicians have medical knowledge," Johnson says. "If the obstetrician is deviating from the best treatment because of their own financial incentive, the patient [who is a] doctor would be able to push back against the obstetrician. But that might not be the case for nondoctors because they simply do not have the medical knowledge to know whether or not this C-section is the appropriate [method of delivery] for them." The researchers tracked large numbers of births in California and Texas via databases that checked to see whether the mothers were themselves doctors. "We found that doctors are about 10 percent less likely to get C-sections," Johnson says. "So obstetricians appear to be treating their physician patients differently than [they treat] their nonphysician patients." Johnson says she thinks it unlikely that the doctors are conscious of the role financial incentives seem to be playing in their decisions. Rather, she says, a variety of analyses by economists suggests that incentives affect behavior in many different ways — often subtly. Indeed, Johnson and Rehavi found that there was no disparity in the C-section rate between physician mothers and nonphysician mothers when the surgical procedures were scheduled in advance. Scheduled C-section decisions tend to be less subjective — a variety of medical conditions, such as a baby being in the breech position, call for a C-section. Rather, she says, the disparity came about in what are known as unscheduled C-sections, when labor is attempted but does not go well. Patient and obstetrician then find themselves in a gray zone, where a judgment has to be made about whether to terminate labor and deliver the baby surgically. Johnson and Rehavi also analyzed disparities in medical settings where doctors were paid a flat salary. In these cases, Johnson and Rehavi found there was a disincentive to perform the surgical procedures, which typically involve more time. In these settings, more of the mothers who were physicians received C-sections than mothers who were not physicians. Presumably, Johnson says, this means that some nonphysician mothers who needed C-sections did not get them in these settings. Johnson suggests that one solution to the disparities lies in better patient knowledge and empowerment.